As I said earlier you need to tweak few things to run this monitor with Intel 810 or 845 based chip-set under Ubuntu Linux. In order to use higher resolution install updated Intel i8xx, i9xx display driver. 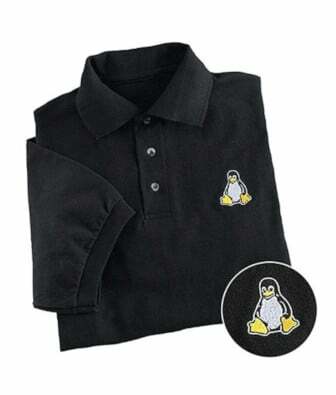 It is provided by a package called xserver-xorg-video-intel. This package provides the driver for the Intel i8xx and i9xx family of chipsets, including i810, i815, i830, i845, i855, i865, i915, and i945 series chips. 24-82 is your HorizSync rates and the second pair is your VertRefresh (50-75) values. 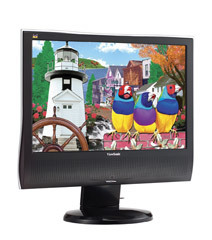 Set monitor resolution 1440 x 900 and others as per your requirement. Save the changes and reboot the system. After login you can adjust screen resolution by visiting System > Preferences > Screen Resolution > Select desired screen resolution such as 1440 x 900 and save the changes. Update: See howto configure Viewsonic VG1930WM 19â€³ widescreen LCD for 1440Ã—900 resolution under Linux. Iâ€™ve been thinking to post about this for a while. My old 15″ CRT monitor died three weeks ago. I decided to replace the faulty monitor with the 19â€ ViewSonic and I’m glad I did. The monitor works with Ubuntu Linux with little tweaks in X.ORG configuration file.. It is a remarkable monitor with a decent price tag. Iâ€™m using 1400×900 screen resolutions and Iâ€™m quite happy with this display unit. Now I can view MRTG graph, monitor routers and server on a large screen. At work place Iâ€™ve 24â€ widescreen LCD monitor. However my desktop system is quite old. It has Intel Celeron 1.7Ghz with 512+256 MB RAM. Iâ€™m thinking to upgrade this box with AMD 64 X2 5600+, MSI Diamond motherboard with RAID 5, SATA II, 2 Gig DDR2, and 512 MB graphics card. If you know better hardware configuration please add your thoughts in comments!